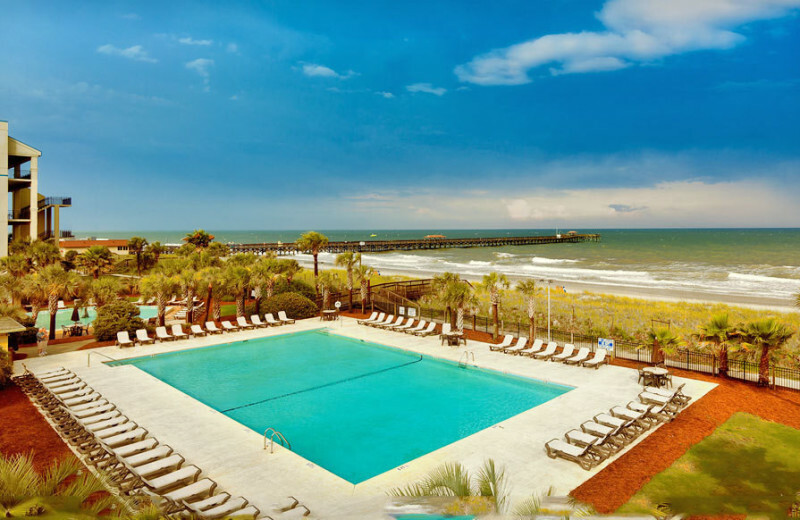 The Springmaid Beach Resort Hotel on the Grand Strand in Myrtle Beach is perfect for families! 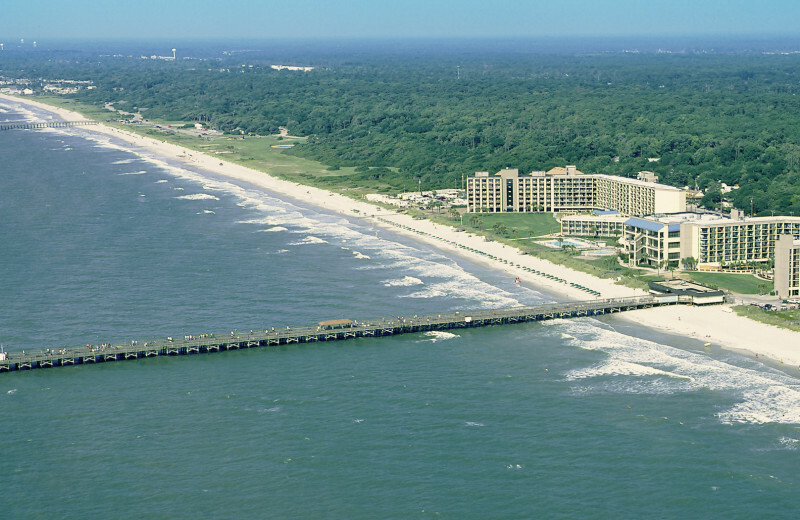 A quarter-mile of the famous Grand Strand beach is reserved just for you during your stay. Here you'll find a truly relaxing getaway where you can vacation at your own pace. 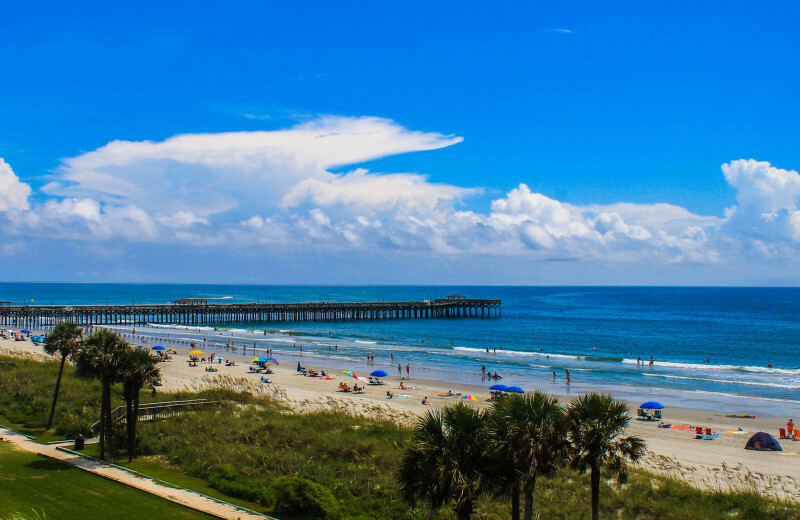 Take a walk on the Springmaid Pier - measuring 1,060 feet it's the longest pier in Myrtle Beach! Or, head straight to the soft, white sand beaches for a day of sun-soaking, surfing, sailing, and more. The kids can build sandcastles while you simply relax with a good book. 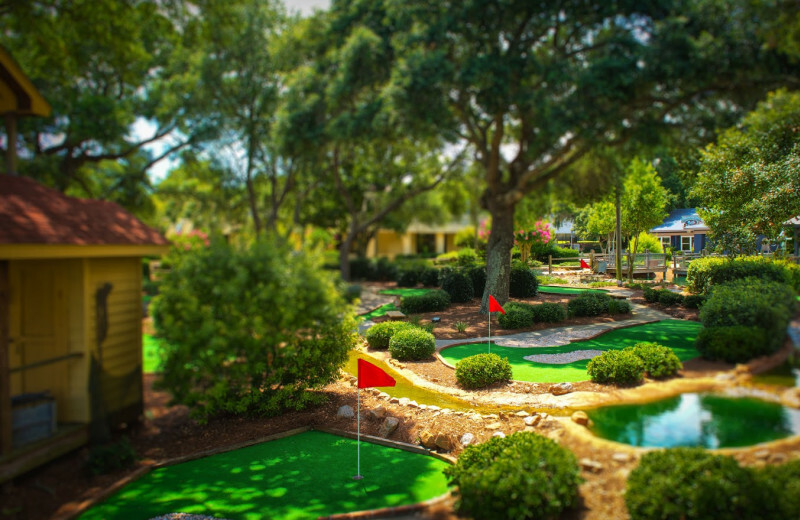 Back onsite you'll find miniature golf, a fishing pier, and great dining at Marlin's Buffet. 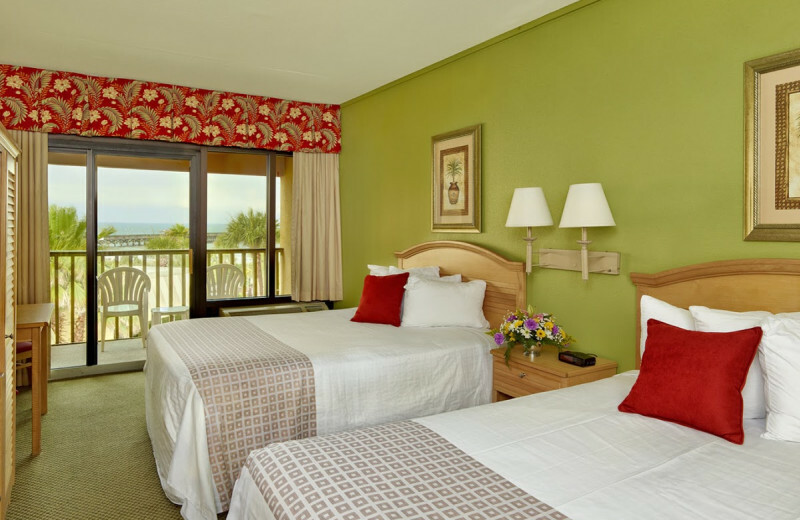 Plus every guest room or suite includes breathtaking views of the Atlantic! So for a complete Myrtle Beach vacation there's no place better! When you stay at Springmaid Beach Resort the beach is literally just out the door. Discover endless oceanfront excitement during your stay. Whether you're just soaking up the sun from the shore or making a splash in the waters as you surf or swim, you'll be sure to have an unforgettable time! Discover endless possibilities during your stay at Springmaid Beach Resort! Families will love the close proximity to the beach - go sailing, swimming, and more. Or, you can head into Myrtle Beach and visit WonderWorks, the SkyWheel Ferris Wheel, or simply take a stroll along the Grand Strand. An unforgettable time awaits for your entire family! Myrtle Beach features some of the best golf courses in the state and your stay at Springmaid Beach Resort will make it easy to experience as many as you want! They offer a variety of golf stay-and-play packages to choose from, so don't wait to plan your next golf vacation! Find out why Myrtle Beach is widely considered the Golfing Capital of the World. 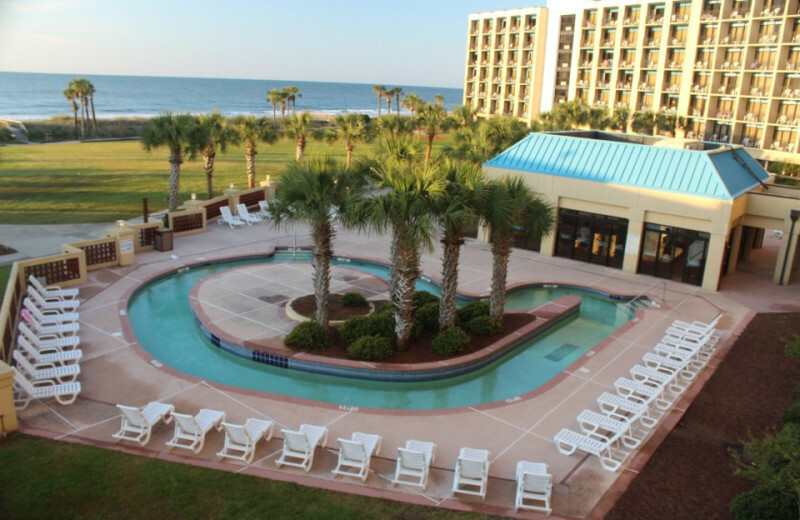 Plan your next South Carolina business retreat at the largest oceanfront conference center in Myrtle Beach! Springmaid Beach Resort offers you and your team a delightful beachside setting that everyone is sure to love. 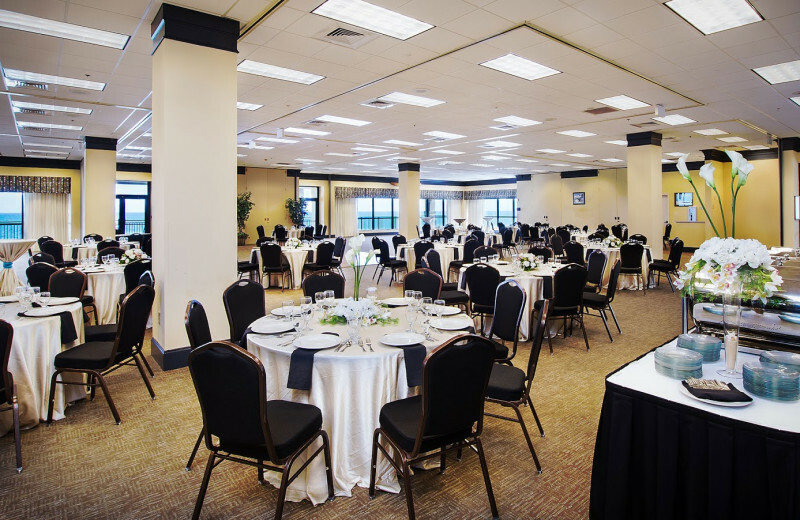 With 35,000 square feet of flexible function space, plus 7,800 square feet of ballroom space, and 23 breakout meeting rooms, it's the perfect place for business getaways of all kinds! Inquire today! Bring the whole family together for a getaway that's truly special. Springmaid Beach Resort offers plenty of entertainment for everyone to enjoy together. From miniature golf onsite to fishing from the pier, or simply relaxing on the beach, you'll be sure to have a blast! 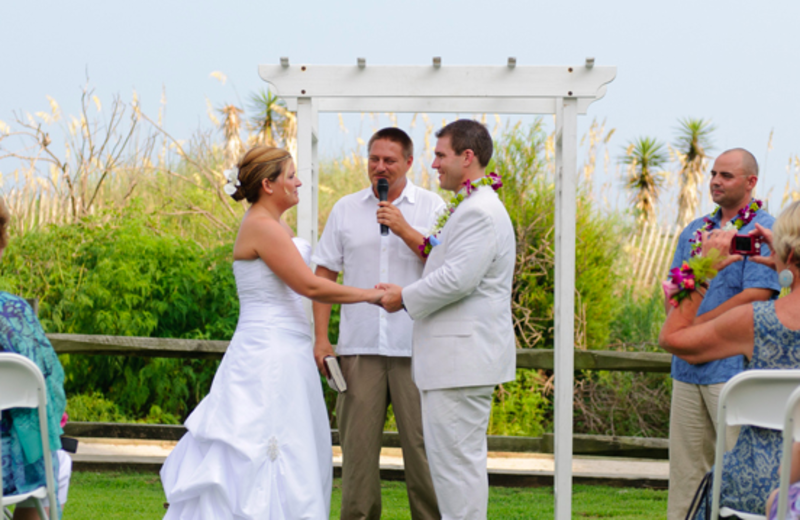 As the only Myrtle Beach Resort where you can have your wedding on the beach, there's clearly no place better than Springmaid Beach Resort for your wedding celebration! Their professional staff will assist you in everything from guest accommodations to customized menu options to creating the perfect oceanfront setting for your big day. 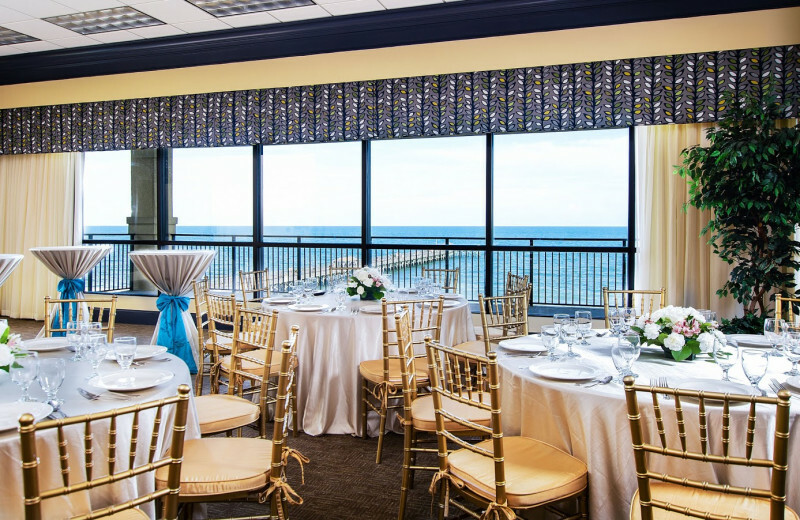 The oceanfront wedding of your dreams can become a reality, so start planning your event today! 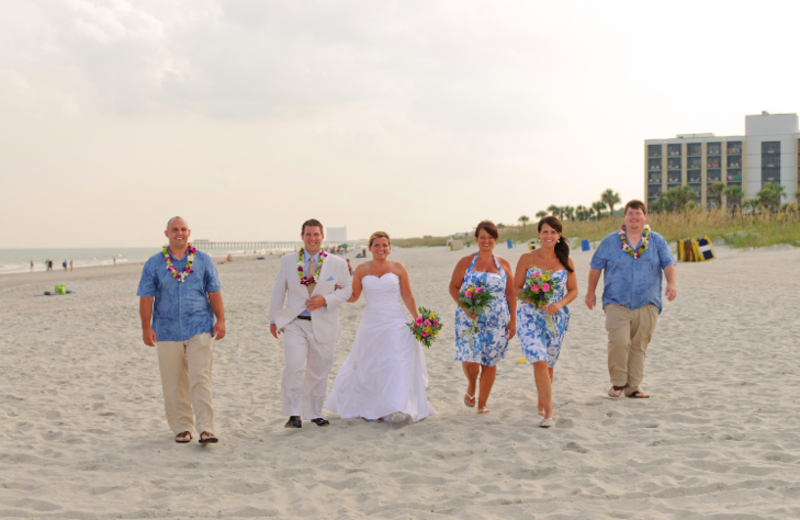 At Springmaid Beach Resort you are just steps from a costal hiking trail overlooking the beautiful Myrtle Beach. Spend the afternoon playing a game of volleyball, or venture on to the water for some exciting jet skiing, surfing, and kayaking. Enjoy the ocean spray as you play in the natural wonderland! 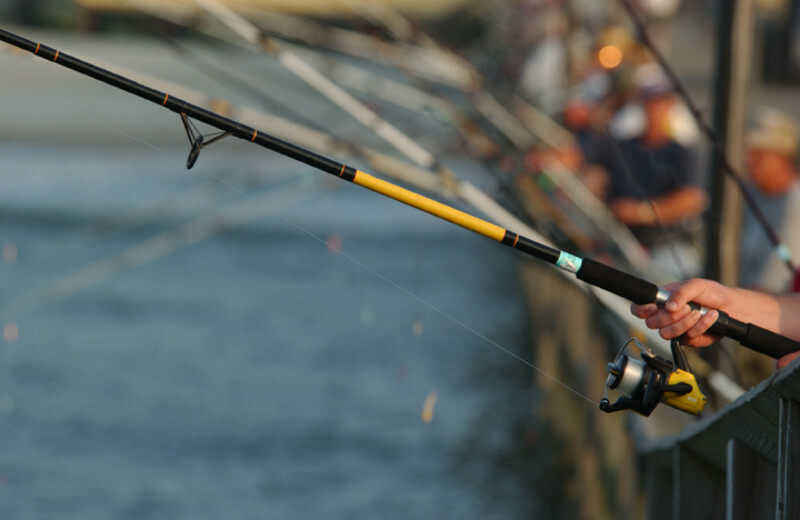 Fishing-enthusiasts will love the Springmaid Pier! The Pier holds the state record catch for Spanish Mackerel and offers the perfect Myrtle Beach location for unlimited fishing. Stop by the Tackle Shop to gear up and then head out for a day of fishing adventures! Indulge in a peaceful getaway with your loved one on the shores of the Atlantic Ocean at Springmaid Beach Resort. Here, you can enjoy quiet walks on the beach at sunset, intimate dinners at Marlin's Buffet, and endless beach activities just steps away from the resort. There's no better way to escape than this! Springmaid Beach Resort is happy to welcome the rest of your family with pet-friendly accommodations. The friendly staff has created a special place for your pet by setting aside 13 pet-friendly rooms on the first floor of the Cypress Building. For more information regarding rates and restrictions, please contact the resort or visit Springmaid's website. 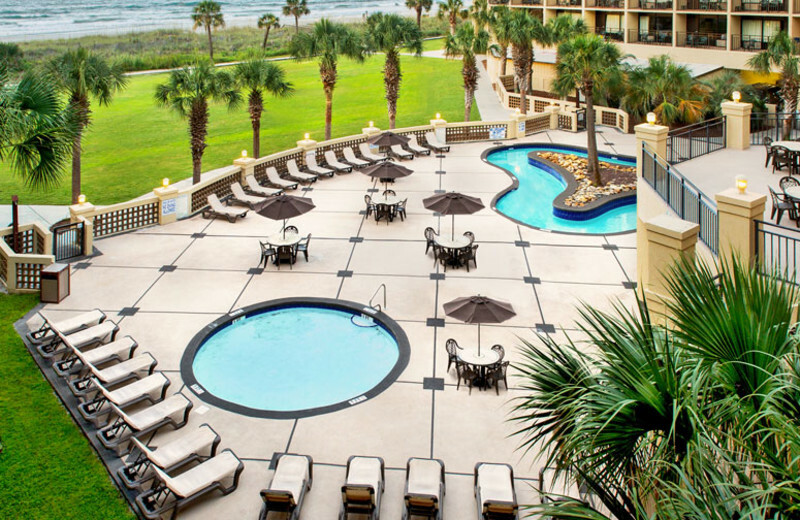 Springmaid Beach Resort redefines luxury on the South Carolina coast. Here, you'll find the longest pier in Myrtle Beach, plus miniature golf, an arcade, and a quarter-mile of beautiful beach just for you. 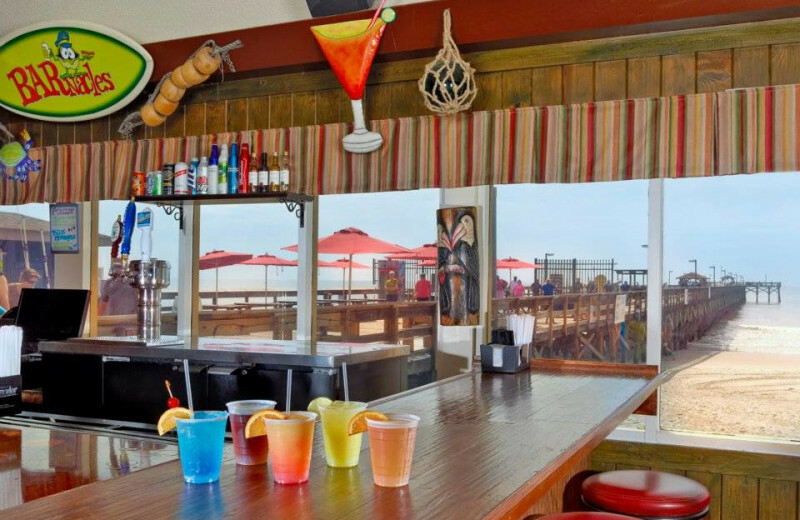 Their onsite restaurant and bar offers delectable dining and drinks as well! Everything you want and more awaits at Springmaid so start planning your trip now. What's more romantic for your honeymoon than a beautiful beachfront setting? Springmaid Beach Resort offers you and your sweetheart a charming oceanfront destination with luxurious rooms featuring modern amenities, and a variety of onsite and offsite activities. Whether you're simply enjoying the view from your private balcony, playing a game of mini golf on property, or exploring the 1/4 mile of shoreline, you'll be sure to discover a honeymoon you'll never forget! Try something different for your next holiday vacation! Springmaid Beach Resort takes you away from the hustle-bustle of the cities for a much more relaxed beachfront vacation experience. Sit back and unwind under the sun on the white-sand shores, go swimming and surfing, or spend a day at a nearby golf course! Everything you need for a memorable holiday getaway awaits! 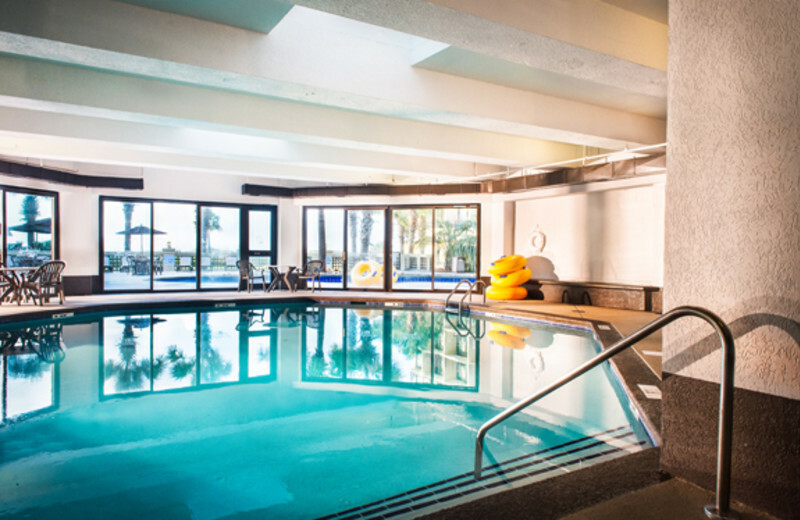 Springmaid Beach Resort offers a variety of comfortable accommodation options that are sure to fit your needs when you travel to Myrtle Beach! Some of the amenities you can expect to find at the resort are private ocean view balconies, a flat-panel television and full-sized refrigerator. For those travelers looking to pamper themselves, the resort does offer suites that feature granite countertops throughout the room, new wooden cabinetry and new window treatments! This property is ranked number 15 on Top North America Meeting Destinations. Read about it here.